Tunnel washers washing everything and continuously, washers that in the past would have been defined as “science fiction” and that have now become a fixture in rental laundries. Garment identification systems that can solve problems considered as “dramatic until yesterday. Ironing boards with so much automation that even untrained personnel could easily use them. New frontiers of a textile industry that discovers it has a future thanks to the laundry sector. Self-service facilities that will be increasingly used by people from every walk of life. Vitally important relationships for our entire society with sectors such as healthcare and tourism. 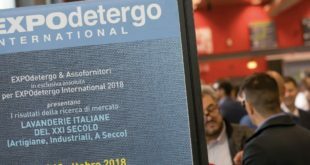 These are just some of the reasons why the 17th EXPOdetergo exhibition taking place on October 3-6 2014 will come into its own as a not-to-be-missed event. An event that both trade professionals but also anyone interested in industries linked to the laundry sector should highlight on their wall calendar and in their iPAD to-do-list application. 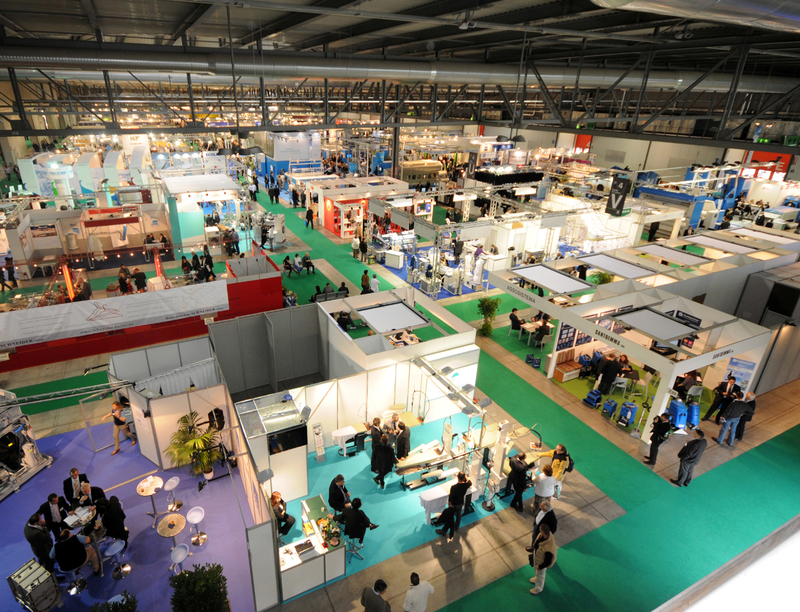 EXPOdetergo will cover a variety of sectors including the hotel, IT, healthcare, textile, HORECA and food industries. This is only logical considering the fact that, in an increasingly globalized and networked world, relationships and synergies between sectors and industrial chains are multiplying. Unlike a couple of decades ago, the bulk of growth is observed in production systems rather than single sectors. Because of this, EXPOdetergo 2014 will be inaugurated on the same day when the world’s largest machine tool exhibition, BI-MU, will come to a close. And, again in Milan, will be followed by Viscom, opening on October 16, the exhibition dedicated to the new visual communication frontiers. 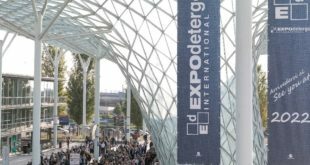 EXPOdetergo will therefore be positioned between the tradition and future of industrial production. The same tradition and future that quintessentially distinguish the sector of retail and industrial laundries as well as drycleaners’ and which transitioned from the first “primitive” ironers to today’s sophisticated robotized systems featuring the same ingenuity and creativity as in the past. 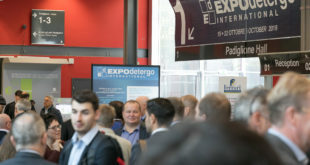 And because of our increasingly more complex and innovative world, it is vital today to have direct contact with the other trade professionals and insiders, something that only an exhibition can guarantee “live and in person”. 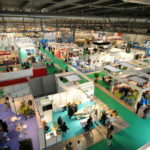 The importance of this new type of approach has already dawned on those numerous companies that are progressively occupying all of the exhibit space at EXPOdetergo 2014 as an unmistakable sign of a very successful show that has all the pre-requisites to exceed the record figures posted in 2010. 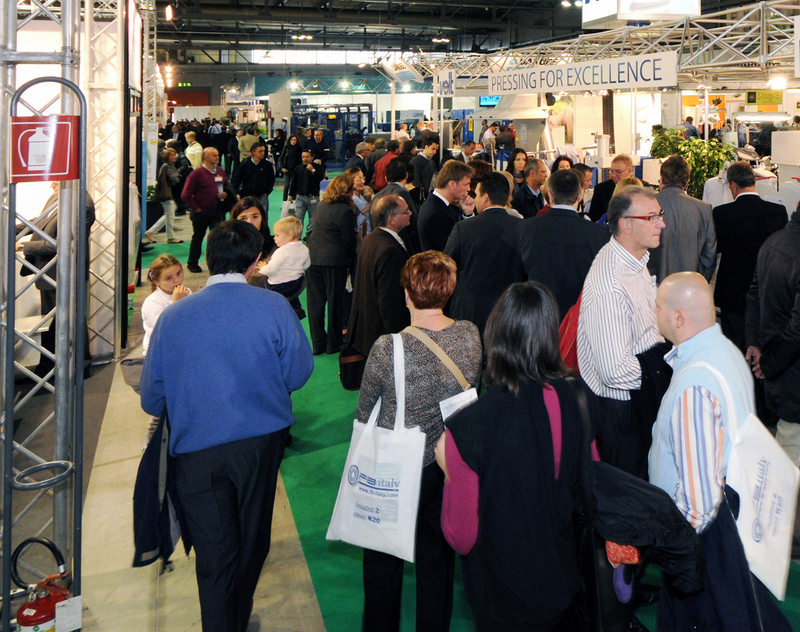 Check it out for yourself by visiting the exhibition’s website www.expodetergo.com where, as of November 1st, you can look up the names of those who have already signed up for the 2014 edition that will guarantee record breaking results outperforming those posted in the last show: 20,000 visitors and 250 exhibitors from 65 countries. 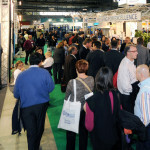 EXPOdetergo 2014 already appears as a highly promising exhibition in terms of both attendance and business.